Happy New Year to all of my wonderful readers! 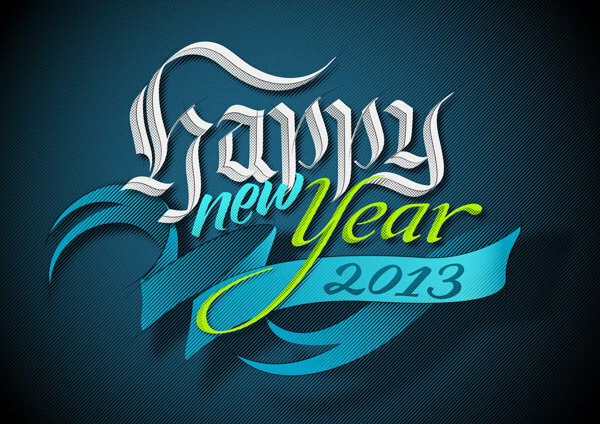 Hope everyone has a fantastic 2013, full of creativity, love and excitement. It’s the year of the snake, and from what my mom tells me, out of all the zodiac signs, this is going to be an amazing year for the Virgo (whoohoo my sign!) so for all your Virgo’s out there, get ready for an exciting year ahead! …and I just noticed when I got to work this morning, I didn’t have a 2013 calendar yet! So I will be working on a post for next week with a bunch of awesome typographic calendars for sale, for those of you who procrastinated on purchasing one, like myself.